The collaborative law proceeding provide the unique ability to incorporate the use of a child specialist from the field of psychology to help resolve concerns and develop strategies for parenting from two homes. They are uniquely able to offer support and comfort to the children during this stressful time and to provide clarification for the children about the changes occurring in the family. Most importantly, they can provide information to parents about the impact of divorce and how to minimize risks and concerns pertaining to their specific children. Psychologists have traditionally been used in family court to perform Custody Evaluations, a report to the court with the psychologist’s recommendation about the best custodial arrangement for the children. The court typically adopts the recommendations and orders a custody arrangement patterned after the report. Child development specialists in the collaborative process serve an entirely different function. Rather than coming in as “experts” to tell the parents and the court how to structure a custody arrangement, collaborative psychologists join the conversations between the parents as the voice of the children. 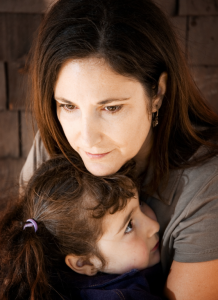 Children are typically hesitant to be open with parents during separation and divorce, and collaborative psychologists are trained in talking with children and teenagers during difficult times. They are also able to elicit more information than parents regarding the child’s true thoughts and feelings. They are able to reassure the children that their parents are working to address their concerns in the collaborative process, and to assess potential developmental needs unique to the particular child. This does not mean that the children determine the parenting arrangement or that the child development specialist determines the parenting arrangement. Both parents must ultimately agree upon a parenting arrangement. Using a child development specialist in the collaborative process does, however, help both parents place their respective needs around parenting into the context of the needs of the children. Parents are able to incorporate the objective, real needs of the children into their search for the optimal parenting strategy. Agreeing on the optimal strategy for co-parenting, when parents are struggling with where the children will reside and how the parents will coordinate differing parenting styles can feel impossible or overwhelming. When it feels this way, a critical addition to the collaborative process is the use of a collaborative psychologist trained as a child development specialist.